Why is SouthWest Airlines so well known for their outstanding customer service? Sure, they get most of the basics right. Minimizing delayed and cancelled flights, staying affordable for the average Joe and maintaining strategic hubs all helps them compete with the likes of United, Delta and American. SouthWest lets people pick their own seats on every flight, making the entire process less formal and better suited for the laid back way most people want to fly. There are also countless stories of SouthWest going above and beyond for their customers. If you’ve travelled during the holidays, you know SouthWest employees celebrate them unapologetically. And this doesn’t just make customers happy. It fuels a financially successful company. It’s true – the operations of a successful airline most likely don’t directly apply to you. But providing good customer service in order to increase customer loyalty and improve financial gains is not as different as you’d think for you and one of the most well-known airlines in the world. Whether you’re a freelancer or you run a small business, these elements, when combined correctly, will help catapult you forward. A key to making your customers feel the love is to get back to them quickly when they reach out to you. 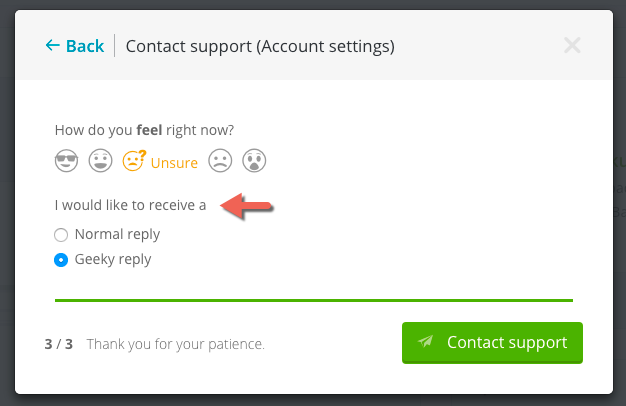 One way to make sure customers know they’re being taken care of is to set up an auto-reply for your inbox. Just receiving confirmation that their ticket has been received goes a long way. If you’re not a big fan of automated responses, no problem. 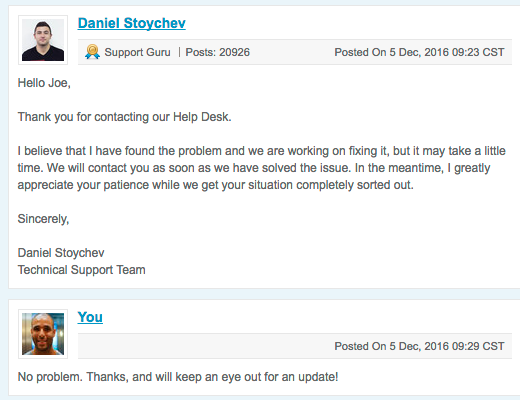 Making sure someone is managing your help desk in real-time (or at least checking in on it regularly) and replying to tickets within a few hours of receiving them should work wonders. If you receive a ticket, solve it, and reply 12 hours later telling your customer you’ve addressed the issue, that’s half a day they’ve spent in the unknown! But if you reply after 1 hour saying you’re taking care of the issue and get it done 11 hours later, they’ve spent half a day knowing you’ve got their back. Taking advantage of this psychological concept is essential. The more time you can get customers thinking positively about you, the better off you’ll be. The easiest way to make customers happy is to over-promise and over-deliver. That’s hard to do when you’re a small business, so if you have to settle for under-promising and over-delivering, you’ll do just fine. If you’re expecting an issue to be fixed in 48 hours, don’t tell a customer it will be addressed in the next few hours. Much better to give them a 48-hour timeframe and get their issue fixed in 36 hours. Depending on what kind of support you’re providing, you’ll want to be clear on your website and in your introductory materials what kind of support your customers can expect. That way, they know what they’re getting into before they sign up. This doesn’t suggest to your audience that you care much about them. In fact, it makes them feel like their just another customer and not worth the time of a personal response. Always use first names when addressing customers. They’re real people and deserve to be addressed that way! You should also include a screenshot or link in communication when appropriate. That allows your customer to check out their changes right away and will increase the confidence they have in you. I know exactly what you’re thinking. You don’t possibly have time to answer all these emails personally, do you? If you’re using the right software, you sure do. We’re in love with Teamwork Desk and their canned messages and auto-filled variables make personalizing every email we send a breeze. It doesn’t matter what industry you’re in; customers who just don’t get it are out there. So if you’re running a help desk, you need to plan for people not understanding the best ways to work with you. 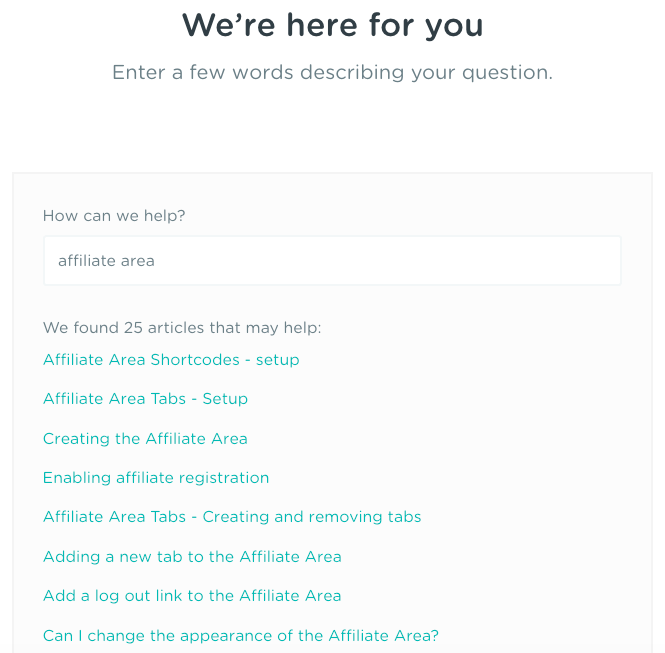 Build a support hub for your business where customers can get easy answers to frequently asked questions. This means fewer support tickets for you and faster resolution time for your customers. Our friends over at AffiliateWP do it right. Their customers can find answers to their own questions and find a solution to their problem without ever speaking with a customer service rep.
And if they really feel stuck, they can always contact support as a last resort. 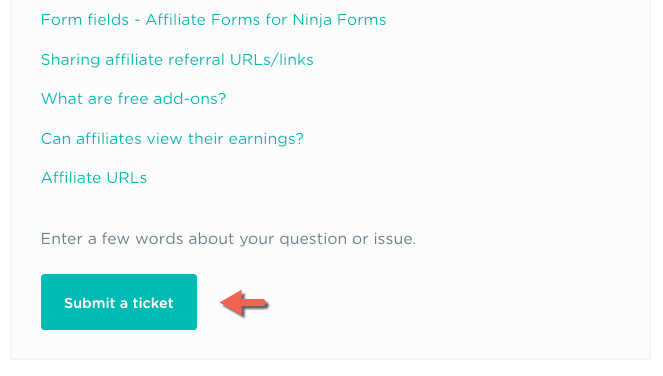 When new customers sign up, be sure to send them all the information they need to work with you in bite-sized pieces. We provide ongoing WordPress maintenance for our customers, so we send everyone an automated drip email campaign to make sure people have the resources and best-practices to interact seamlessly with us. 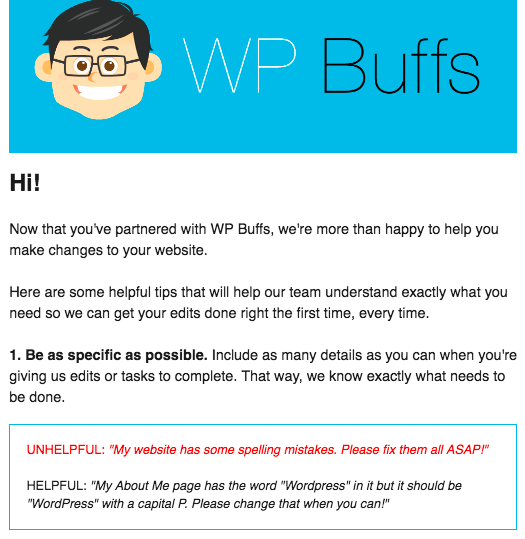 This is something we’re big fans of at WP Buffs but it’s going to depend largely on the culture you’re trying to promote and the feeling you want to convey to your customers. In my humble opinion, if you’re not going to have a good time running your business, then what’s the point? Are your customers technical? Then feel free to include more technical jargon in your communication. Do your customers not care or understand the technical aspects of what you do and just need their problem fixed? Shut down the developer-speak and dumb it down for them. Speaking your customers’ language is the key to communicating with them in a way that makes them feel taken care of. If you have the technical wherewithal, do what ManageWP does with their support and give customers the option. What’s the one thing that customers love most? When you go above and beyond for them, no questions asked. That means following up with them without having to be reminded. Use the functionality provided by your help desk to tag tickets for a follow up if they haven’t been solved or closed. 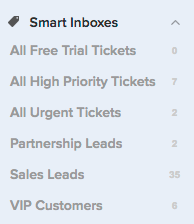 Teamwork’s Smart Inboxes lets us review all open tickets during our Monday Reviews and follow up on each and every one of the to make sure all our customers (and potential customers) know that we don’t leave anything hanging. This is a hard one for any small business. You need people with the skills necessary to get the job done but the personality required to fit in well with where you want to go culture-wise. Often times, someone with both qualities are out of your price range. Woof. Unless you’re working on something really technical, opting for personality over experience is usually the way to go for most small operations. Let’s say you hire an experienced, proven employee for $80,000 / year. They end up clashing with you and the vision you have for the future of the business. 6 months and $40,000 later, they leave for another job. If you’d brought someone less experienced in on a $40,000 / year salary who fit into your company’s culture, you’d be much better off! After 6 months, $20,000 in salary + $5,000 for training yields an employee who costs $25,000, can do the job and is a loyal compatriot to your company. I’m not against hiring a more expensive, seasoned, experienced employee. The fact is that during the early days of any startup, a less expensive hire may be necessary. These are some aspects of customer service that our company takes to heart. You probably know by now, the internet is 95% garbage. As is true with any advice you hear on a podcast or read in a post like this one, do not take what I’ve said as the only way forward. The most important thing you can do now is implement what you think will work best for your business, experiment with it for a set time period and succeed or fail quickly. That way you can keep what works, toss what doesn’t and spend more time on the things that make your freelancing business or small company successful. Invest heavily where you see a return-on-investment and keep moving forward!